When the new year hits I usually get the urge to reincorporate gentle detoxing habits into my life. It's usually a combination of holiday splurging, less exercise and reduced sunlight that prompts my body to crave healing drinks, foods, and movement. Since detox is such a buzz word these days, I know lots of folks fall prey to pyramid schemes that promise if you pay top dollar for a miracle supplement or treatment that you'll rapidly lose weight. Those don't work--or at least not in the long run. Ideally you want to make some simple changes that are easy to continue throughout the year. No fancy pills or contraptions. Just nourishing whole foods and habits to improve your environment and mindset. To help you all out, I've compiled a list of some of my favorite natural detox and cleanse tips that you can easily incorporate into your daily routine. If you have any additional insight or personal stories about detoxing, leave a comment below! Update (November 2015): If you're looking for emotional support while detoxing your body, check out this post for 30+ Ways to Relax and Keep Calm When You're Feeling Stressed or Anxious. Every spring and fall when the change of seasons inspires me to implement healthier habits, I usually begin with an easy detox drink recipe. My personal favorite is a mixture of fresh lemon juice, warm purified water & unsweetened cranberry juice. Sometimes I add raw honey and other times roasted dandelion root tea, which helps remove excess water weight. When taken first thing in the morning, fresh lemon juice flushes the liver of impurities, while 100% cranberry juice (unsweetened) has the added benefit of helping your kidneys. Because dandelion root is a natural diuretic (like coffee), you'll lose a bit of extra water weight while also helping to detox your liver. Want another option for a healthy morning detox drink? Try this Raw Apple Cider Vinegar Tonic or Turmeric Tea recipe. Note: If you're going to try other detox tea blends, make sure it's the highest quality (look for organic) and incorporate it into your diet slowly to see how your body reacts. 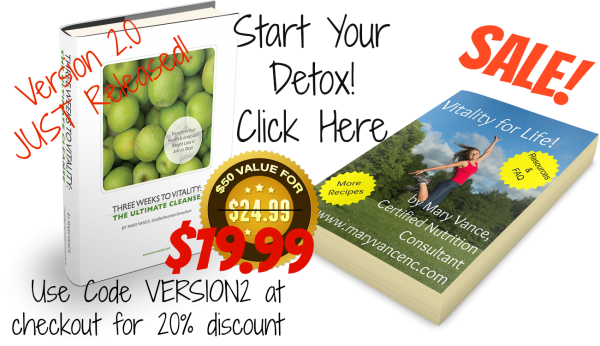 This is one of my favorite detox and health routines. I started last fall, fell off the bandwagon during the holidays and recently started up again. I first learned about oil pulling from the book Cure Tooth Decay by Ramiel Nagel. Last fall when I had a bad tooth infection, I desperately sought out natural remedies, found this book and started incorporating much of the advice. One was to oil pull at least once a day with organic, unrefined coconut oil or organic, unrefined sesame oil to pull the toxins and bacteria from your mouth. Since the lauric acid in coconut oil is naturally antimicrobial, when you swish a tablespoon of it in your mouth (the best time is first thing in the morning) for 20 minutes or more, it absorbs toxins and mouth bacteria. From what I've read, you need to do it for AT LEAST 15 minutes for the coconut oil to take effect, but longer is better. I usually oil pull for 20-25 minutes in the morning while I'm making coffee and checking my email. IMPORTANT: Do NOT swallow the coconut oil. Spit it out in the trash can (it will clog the sink). By the time you're done swishing the coconut oil is filled with toxins, so you don't want to swallow that stuff! It takes a little getting used to, but I promise your mouth will feel great afterward. When I was suffering from tooth pain last fall, oil pulling with quality coconut oil gave me the most relief! I'm sure you've heard this one time and time again, but it merits mentioning. Eat more fruits, veggies and herbs. The more colorful and diverse, the better. Your pantry, fridge and freezer (wherever you store them) should look like a rainbow during spring and summer. Colorful plants are full of antioxidants and nutrients! Each one is bursting with an array of benefits. Just look 'em up. For example, did you know that a kiwi fruit has more vitamin C than an orange? Or that purple cauliflower has some of the same antioxidants as blueberries? 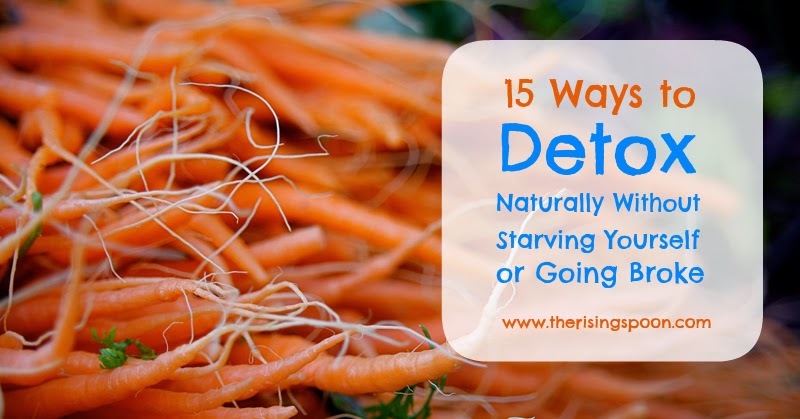 Not to mention that beets are an amazing detoxifying food? FYI: Just because a fruit or veggie is popular (hint: oranges) doesn't mean it's the best source. Need some ideas for incorporating more fruits & veggies into your diet? Check 25 ways to eat more fruits and vegetables. But don't forget fresh & dried herbs! They're so easy to add to your foods and drinks. I have a penchant for fresh cilantro and am learning to love parsley. I LOVE smoothies, especially green smoothies! They are a delicious and filling way to incorporate a whole bunch of vitamins and nutrients in your diet, especially when they include a healthy fat (like whole milk yogurt, coconut milk, nut butter or avocado) so that your body properly absorbs the fat-soluble vitamins in the drink. One of the most popular ways to cleanse or detox after the holidays (without starving yourself on cayenne water) is drinking green smoothies. They're a quick way to nourish your body with whole foods and don't require any fancy supplements. 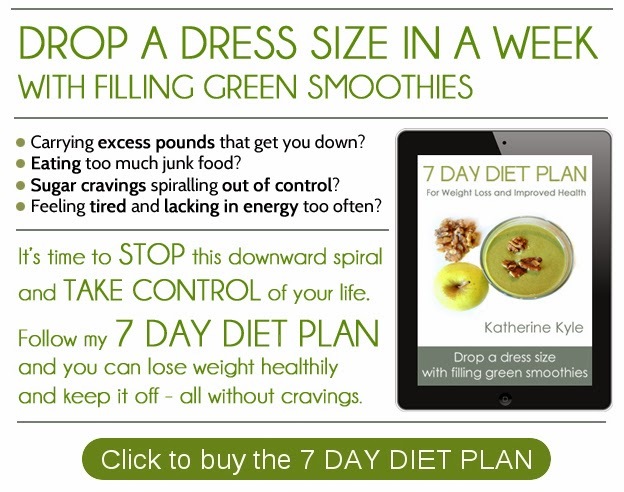 If you're looking for an easy and short whole-foods based cleanse that will nourish your body while removing impurities, I highly recommend the 7 Day Diet Plan For Weight Loss and Improved Health by Katherine Kyle of Green Thickies. Click Here to learn more about the gentle green smoothie cleanse. Fermented foods (also called cultured foods) such as yogurt, sauerkraut, kimchi, kefir, and kombucha are full of healthy and beneficial bacteria (probiotics) that help your gut! Eating fermented foods on a regular basis will strengthen your insides so that if you happen to eat something spoiled, your body will be able to defend itself. 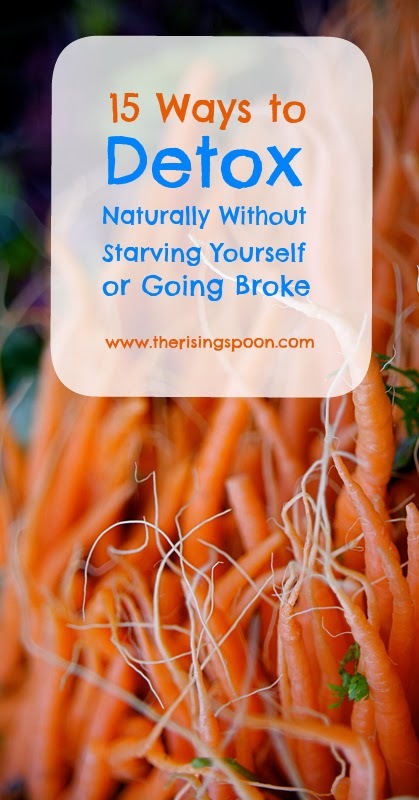 It'll also help keep you "regular", which will help when you're flushing out toxins while detoxing. Honestly, there are a slew of benefits to eating fermented foods! I love to eat sauerkraut for breakfast (and oftentimes at night with pan-fried sausage and potatoes) and yogurt for a protein-packed snack any time of the day. There are plenty of fermented food & drink options available at regular grocery stores, but it's important to seek out high quality ferments that don't have corn syrup, fake sweeteners, artificial ingredients, etc. Better yet, to ensure you're getting the best quality fermented foods and drinks out there, I suggest learning to make them at home. If you'd like simple step-by-step instructions and a bunch of different recipes, check out this Guide to Fermenting. Newsflash! Even if you eat your fruits and veggies religiously, your body is likely flushing out certain vitamins! Over time, this can lead to a mineral deficiency. Kind of a scary though, right? I had no idea until last year. The good news? If you eat these foods a certain way, you can ensure more of the vitamins will get absorbed by the body. Fat-soluble vitamins such as A, D, E, K & K2 need to be ingested with a healthy fat. That means if you're eating greens (like a big leafy salad), don't leave off the olive oil if you're making a vinaigrette dressing or cream for homemade ranch dressing. Not only will the salad taste better, but the nutrients won't go to waste. Healthy fats are your friends, folks! Other vitamins that are important for bone and teeth health such as calcium and magnesium will be flushed right through the intestines if they're ingested with foods (like nuts, grains and beans) that contain an anti-nutrient known as phytic acid. To reduce the phytic acid in foods, you can soak, sprout or ferment them using whey, yogurt, lemon juice or apple cider vinegar, for example. To learn more, check out my post on how to cook dried beans. Baths are relaxing all by their lonesome, but when you throw in a few cups of epsom salt (magnesium sulfate), unrefined sea salt, baking soda, and dried herbs--maybe even a few drops of calming lavender essential oil--it turns into a detoxifying bath! You can whip up a batch of detoxifying bath salts at home in minutes. Epsom salt, sea salt and baking soda are dirt cheap! A DIY version costs much less than commercial bath salts, which are often mixed with synthetic chemicals that will deter the detox! Bentonite clay is a naturally absorbent clay with negatively charged ions that's formed by the weathering of volcanic ash, usually in the presence of water. When the dry clay is mixed with water (or apple cider vinegar) and thus activated, it will attract and absorb positive ions (such as toxins and heavy metals) and leave behind valuable minerals. It's most popularly used as a face and body mask to draw toxins and excess oils to the surface and help detox; however, it can also be ingested internally to absorb heavy metals and toxins as it travels through the body. mix it with coconut oil and therapeutic grade essential oils to form a healthy remineralizing toothpaste. Update (January 2016): A few months ago I switched to using Earthpaste toothpaste daily, which is an all-natural, fluoride-free clay toothpaste. I have to say...my teeth and gums LOVE it! It makes my mouth feel SO clean and fresh. I love that it's not super sweet (like commercial fluoride toothpaste) and it doesn't contain any harsh whiteners that often make my teeth sensitive. Before Christmas my boyfriend had an on and off tooth pain (I think it was a cavity) and after he switched to Earthpaste it totally went away! Our favorite is the peppermint flavor, and I highly recommend it. I've been meaning to try this one for a LONG while and I'm not sure why I've put it off, since it's so darn easy. I just need to buy a natural bristle brush and I'm all set. From what I've read, the best time to dry brush is right before a shower (with dry skin, obviously). You start at the tips of your limbs (legs first) and stroke upward starting first with gentle circles then switching to long strokes, going over the same patch of skin a few times, but always moving toward the heart. So, from the bottom of your legs up to your lower torso, then your fingers to your shoulders, then when you get to your torso inward toward the heart. Dry skin brushing removes dead skin cells, which allows the skin to detox more properly (did you know your body releases toxins through the skin?) and also stimulates the lymphatic system. Update: I finally bought a brush and LOVE how I feel after dry brushing. Great for circulation and it's very invigorating! Your environment has a huge impact on your emotional and psychological well-being, so making an effort several times a year to detox your home by purging it of extraneous things has an instant positive effect. Even better, it will clear up space for new changes and opportunities. This goes without saying, but if do start purging your home, make sure to donate any lightly used items you have before recycling or throwing them away! Update (January 2016): I recently bought a copy of The Life-Changing Magic of Tidying Up: The Japanese Art of Decluttering and Organizing and after reading almost the whole book began implementing the author's suggestions for tidying (a.k.a decluttering/purging) using categories. This book has TRULY changed my life. I'm working through stuff that I've held onto for years...decades, in fact, and finally donating them. 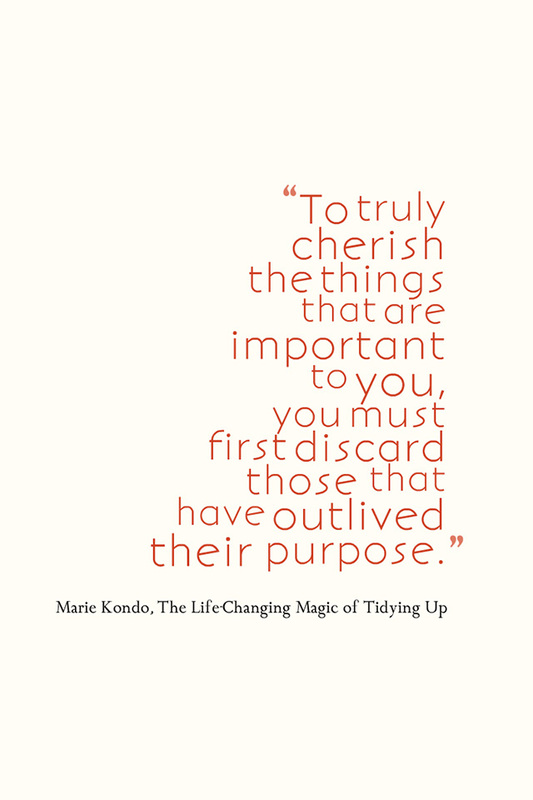 I cannot recommend The Life-Changing Magic of Tidying Up highly enough (I'm telling all my family members to get it), and will hopefully share my experience in a post soon. In the wintertime when it's cold and dry outside, it's easy for the air inside your home to become stagnant, especially when you're not opening up windows and doors often. This can lead to respiratory problems, congestion, allergies and more. Aside from airing out your home for 10-15 minutes a day to let clean air circulate in, the best way to combat pollutants in the air is to fill your home with plants! Even in the wintertime when low light is a concern, there are plenty of varieties of indoor plants to choose from that thrive in shady conditions and need less water. Growing up a complete bookworm, I can speak from experience when I say that reading is one of the most relaxing, immersive and engaging past times. If you need some escapism, read some fiction. Inspiration? Memoir or self-help books. Want to learn something new? Try non-fiction. Or a myriad of other genres. Seriously. Unplug from the stream of constant digital information and let your imagination run wild while reading a book. Stress? Zapped gone! And speaking of stress, it's generally not healthy! In fact, it could be wrecking your metabolism and peace of mind. As Americans, we're often raised with the notion that work, work, work is the greatest of ideals. It's the thing that will bring us our American dream, i.e. success & wealth. And alongside that usually comes a heavy dose of competitiveness & perfectionism. We must wear all the hats and do all the things, right? Nope! A little stress is good, but it only goes so far before it starts to have a negative impact. You do not have to be stressed and overwhelmed to be productive. For some stress-relieving tips, click here to read my post 30+Ways to Relax and Keep Calm When You're Feeling Stressed or Anxious. Whether it's walking the dog, cleaning the kitchen, organizing your garage, doing yoga or jogging outdoors, get your blood flowing for a least 30 minutes every day. Better yet, build up to an activity that makes you sweat slightly. This will help release toxins through your skin. If you need some incentive to be more active, order one of these nifty wireless activity trackers. Not only will it track your daily steps (many people aim for 10,000 a day), but it'll also monitor your sleep so you can identify how often you're waking up during the night! Did you know the vast majority of commercial cleaning, bath & body products contain toxic ingredients? They're saturated with thousands of harmful chemicals that affect the body in a myriad of ways. Everything from your dish washing soap, air freshener, candles, body wash, deodorant, and lotions contains toxins on some level. And that's just the tip of the iceberg. How do you detox when you're whole house is practically filled with toxic products? Do a little at time. Start by swapping out commercial cleaning, bath & body products with homemade versions made with quality, non-toxic ingredients like therapeutic essential oils. Or seek out reputable products made with non-toxic ingredients. My favorite non-toxic beauty product is this amazing deodorant by Primal Pit Paste. I've been using it for nearly five months now and am so happy! It smells incredible, REALLY works, and lets my arm pits detox as they naturally should. 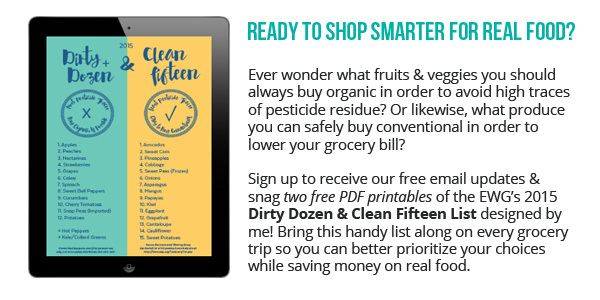 There are loads of DIY non-toxic recipes out there on the internet, but if you want an organized and tested guide to making non-toxic recipes at home, get a copy of All Natural Living: 75 Non-Toxic Recipes For Home & Beauty . 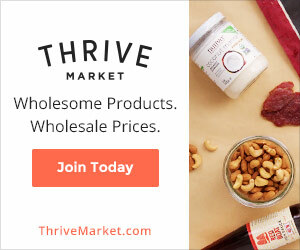 Click Here to learn more about All Natural Living. Want something a little more structured than individual detox tips, but don't want to spend hundreds on expensive supplements that are supposed to "cure all" or have instant effects? Yeah, those don't work, or at least not in the long run! Do you want to jumpstart your weight loss in 21 days? Three Weeks to Vitality: The Ultimate Cleanse is a 21-day simple, whole-foods based detox program that emphasizes regaining health, dumping junk, cleaning your liver, breaking sugar & carb cravings, gaining energy, sleeping better, clearing up your skin, and more. All it takes is 21 days to reboot your health! Gentle Detox Option #2 - It Starts With Food: Discover the Whole30 and Change Your Life in Unexpected Ways by Dallas and Melissa Hartwig. Do you cleanse after the holidays or during certain times of the year? What's your favorite way to detox gently?